I thought I’d just write a quick post announcing that I’ll be participating in NaNoWriMo this year! You may or may not remember that I announced that I was participating last year. I’d somehow managed to delude myself that I’d be able to write 50,000 words of a novel on top of the stress writing and giving a conference paper while I was studying for my masters degree. As you can imagine, this didn’t work out too well for me. I actually only managed around 15,000 words before I had to give up. All the same, you can read my post from last year here, and I talk a little bit about the things that have helped me win in the past. At this point, I’m pretty much a NaNoWriMo veteran, having participated pretty much every year for the last six years now. I’ve won twice (three times, if you count the very first time, when I participated in the Young Writer’s version with a lower word count goal). So I know it’s something that I’m actually capable of, so I’m keeping my hopes high this year. I actually don’t have any other responsibilities beyond work, and thus, have literally no excuse. 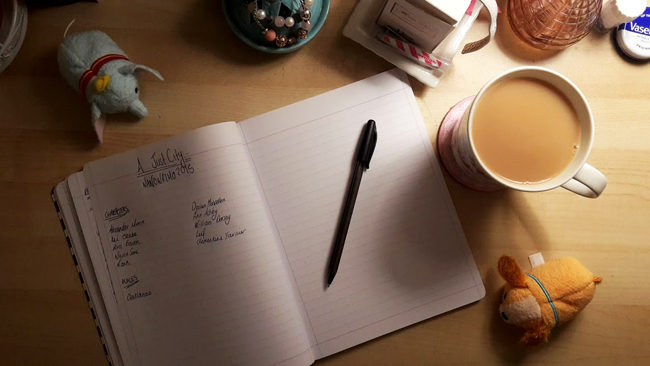 It’s nearly time for NaNoWriMo to begin! Much like last year, I’ve decided to compete this year despite the overwhelming work load I have. I’ve been doing it so long that it’s started to feel like a tradition. I started doing NaNoWriMo when I was probably around sixteen; I signed up for the Young Writer’s version, where you can set your own word count goal. I set a goal of 35,000 and achieved it, so I was massively overconfident the following year. I’ve since won twice: once in 2011, and again last year. Somehow, on top of my dissertation, assignments, and weekly hand-ins for my Creative Writing module, I managed to write the full 50,000 words. This year I just have a 2000 word conference paper, which I have to present, and another presentation, accompanied by a 2000 word report. So no pressure.